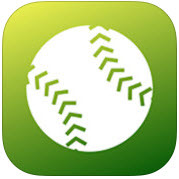 Throw Like A Pro App – available in iTunes. Young baseball players who want to stay out of the operating room should look into purchasing the Throw Like a Pro app ($9.99 for iPhones and iPads). According to leading surgeons in the field of throwing injuries, this app could reduce throwing injuries by 60% if used correctly. The app, released by James Andrews, MD and Kevin Wilk, DPT receives the highest marks from TopOrthoApps, an app review site, for functionality, coolness and overall features. The app breaks down stretches and exercises that players should do during pre-season as well as in-season. Both pre-season and in-season sections include video showing stretching exercises, warm-ups, and workouts for general throwing and pitching. Included is a modifiable tool that adjusts pitch-count recommendations according to the patient’s age and number of rest days.